The Mac Pro is now slightly better. Apple today delivered a slight refresh to the Mac Pro, introducing faster Intel Xeon processors and the option to add beefier graphics processing chips. Nothing else has changed — not even the price — but Apple is “completely rethinking” the pro machine ahead of an all-new model. 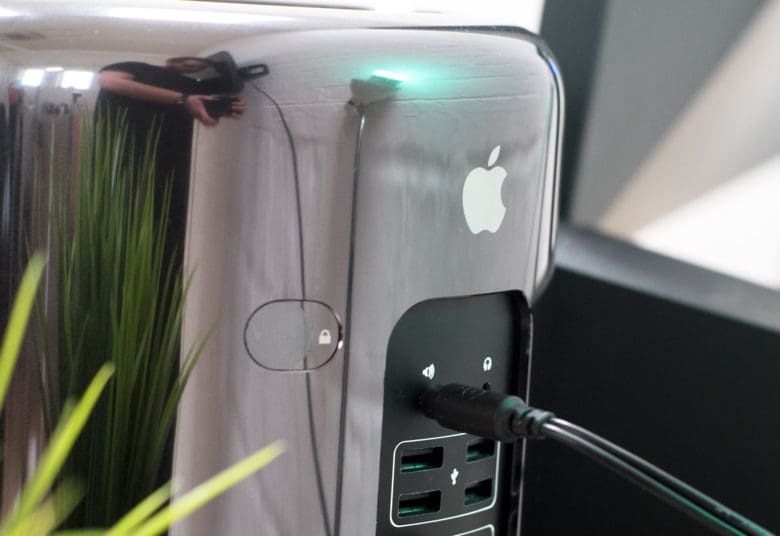 So, the Mac Pro still looks like a trash can, and you still have hardly any upgrade options once your machine lands on your doorstop. But if you’re desperately in need of one today, you will get more power and the option to add better GPUs. The entry-level Mac Pro, which costs $2,999, now ships with a six-core Xeon processor as standard (up from four cores in the previous model). It still has dual AMD FirePro G300 graphics by default, but you can upgrade to dual G500 or G700 chips. The $3,999 model now boasts an eight-core Xeon chip as standard (up from six cores), and dual D500 GPUs. However, you now have the option to upgrade not onto to dual D700 GPUs, but also dual D800 GPUs. You still won’t find USB-C ports or Thunderbolt 3 technology in these machines, so they’re very much identical to their predecessors. If you can, we recommend holding onto your cash until the big refresh arrives — though there’s no word on when that will happen.